Amid preparations for its highly anticipated IPO, Uber is planning to offer electric bicycles and scooters as alternative transportation modes particularly for shorter trips, CEO Dara Khosrowshahi said in an interview with the Financial Times. Khosrowshahi admitted that they earn less with bike rides compared to regular car bookings, but remains optimistic that it will be profitable once customers use the service more regularly. “During rush hour, it is very inefficient for a one-tonne hulk of metal to take one person 10 blocks. We’re able to shape behavior in a way that’s a win for the user. It’s a win for the city. Short-term financially, maybe it’s not a win for us, but strategically long term we think that is exactly where we want to head,” he added. 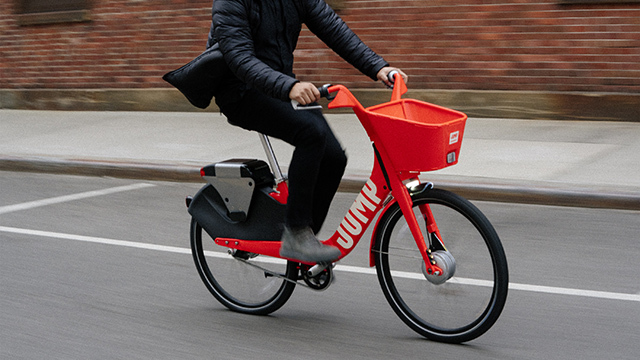 Uber acquired on-demand bike-sharing startup JUMP Bikes in April this year and is now available in eight US cities. The company also has a deal with dockless electric scooter sharing service Lime, the report said. “When I’ve spoken to our driver partners about it, the first impression was, why are you bringing in a bike to compete against me? The second impression after the conversation is, oh, I get a longer ride where I can make more money? Sign me up,” Khosrowshahi shared. Uber’s main competitor in the US, Lyft, is also moving to include bicycles and scooters among its users’ options, according to Mashable.com. It acquired bike-share platform Motivate and is building a line of e-scooters. In a post in July, Lyft's co-founders said using bikes and scooters made better sense for the first and last-mile of a long journey, such as the short trips from home or the office to the train station, Mashable.com reported. It remains to be seen whether ride-hailing companies in the Philippines such as Grab will also consider e-bikes and scooters in their menu of mobility options for their users. E-scooters are increasingly being used in central business districts with wide sidewalks such as BGC in Taguig City and Ayala Avenue in Makati City. However, the widespread use of e-bikes and scooters may have to contend with the country’s generally outdated land transportation regulations. “We had two-wheels services, GrabBike, before here in PH. The operation was shut down by the government. Two-wheels is currently only allowed for delivery services—GrabExpress, GrabFood, GrabAssitant,” a Grab Philippines spokesperson told Entrepreneur Philippines via email. The Land Transportation and Franchising Regulatory Board (LTFRB) also shut down local motorbike ride-hailing app Angkas in November 2017 saying it cannot function as a legal mode of transportation. In general, the LTFRB, the country’s main land transport regulator, is seen by the startup community more as a stumbling block rather than facilitator of innovations in urban mobility.